"Διώνη" : What Is Laila From Morocco Doing In Greece? Hello, my name is Laila, I am an aspiring social entrepreneur from Morocco. 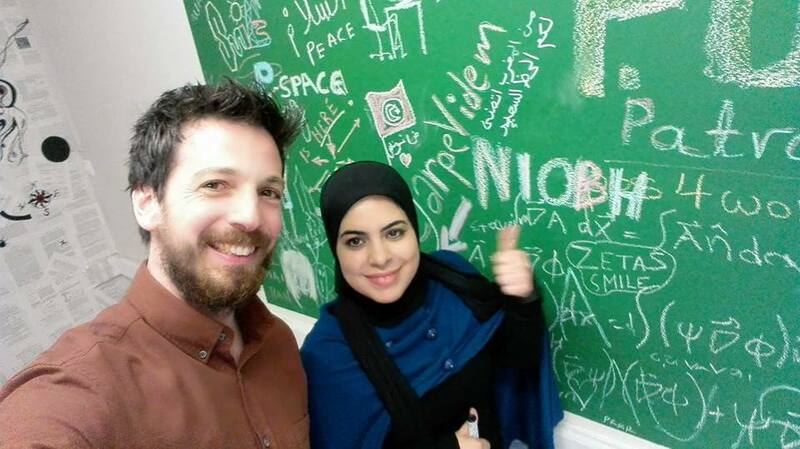 I’ve been a management consultant for five years, active social volunteer for three years, entrepreneur for two years, mentor, trainer and speaker on social entrepreneurship for one year and a member of economic consultancy committee for the council of the region of Fez-Meknes in Morocco for one month. 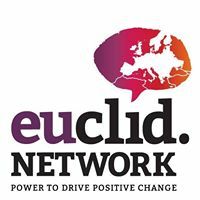 For two weeks I’ve been participating in the SEED EURO-MED exchange programme, funded by the European Commission and managed by Euclid Network. I collaborate with my Host Enterprise called Local Development Centre “Dione” in Ancient Olympia, Greece, which offers Business Coaching services to SMEs, HR consulting, promotion of Social Economy and Sustainable Development, and implementation of Lifelong Learning Programs. I decided to participate in this program following my experience in the Social Entrepreneurship SEED EURO-MED Bootcamp in Tunisia, where I discovered the opportunity and the positive impact of the exchange on other participants’ enterprises. 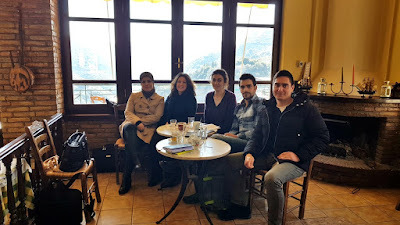 By living the experience of participating in the ongoing project “the local development of DIVRI” in a remote village of mountainous Ancient Olympia in Elis and in collaboration with the local social enterprise “Eco Divri”, I will get the needed support, learning and network for my future social enterprise, the first centre for millennials’ empowerment in Fez city. My project is to create an agora (co-working space and campus) for millennials that can be a part of the development processes by starting a business, practicing their passion professionally or by being an active citizen. The concept will be focused on the uniqueness of the city and its community, while creating opportunities to develop the rural areas around it to decrease migration to the city. The exchange with “Dione” provides me with the tools needed to work on the second part of my project. During my stay in Greece, I appreciated the hospitality of the locals. Of course, they had many questions since I am the first Moroccan coming to the village, but I am amazed by how open minded they are about other cultures and I love the custom of greeting everyone “Yasas” (hello in Greek) on the street. The first nights were a little colder than I am used to in my city, but the amazing views and the purity of the air and water made me forget about it and I am getting more accustomed to cold weather and the mountainous area. But still, the lack of public transportation to bigger cities reduces the opportunity to visit more cities in this beautiful country. 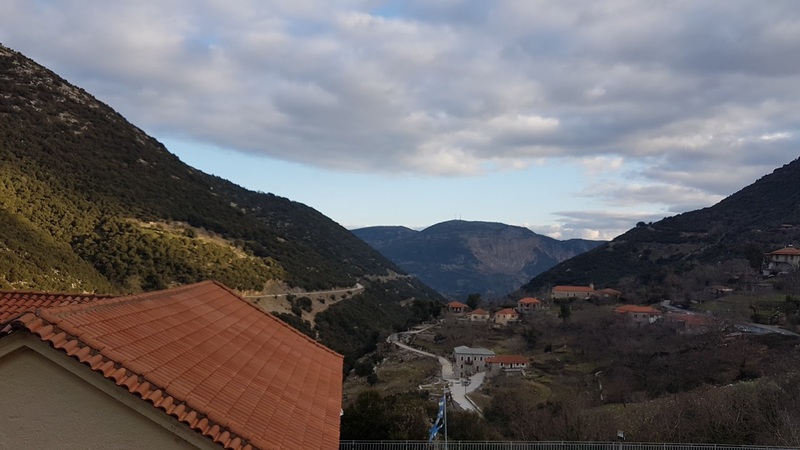 During the first week of working in Divri, I got accustomed with the new environment and the social challenges that I need to work on during my exchange. I focused my actions on living the daily life of the locals and the tourists by walking around the 7 different neighbourhoods (“Machalades” in the local language), buying from the four small markets and having a local mountainous tea with honey in the 5 coffee shops of the village. I also got friendly with some locals who speak English, Arabic or tried to communicate using body language and I participated in cultural events (“Fiesta” before fasting and dance classes). 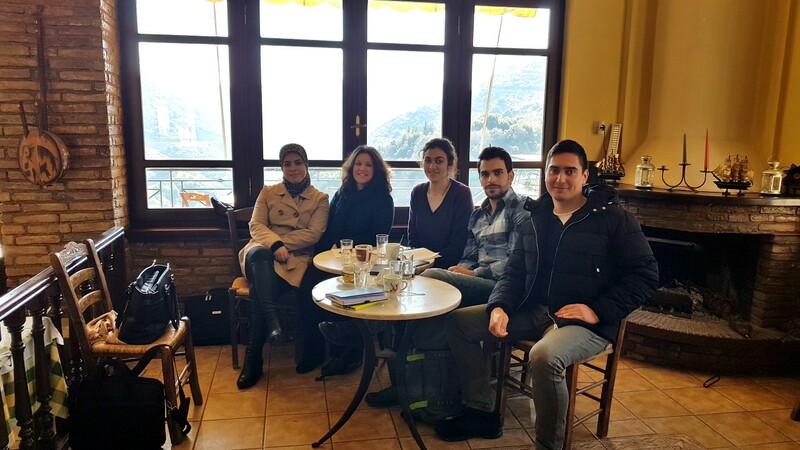 The integration process was quicker thanks to the support of my Host Entrepreneur Ms Vaso Charitopoulou, the founder and general manager of “Dione”, mr Kostas Panagoulis, the president of “Eco Divri”, and the three other team members: Alexia Karageorgis from Cyprus, cultural and natural heritage researcher; Vugar Mamedov from Azerbaijan, marketing manager and eco-consultant and Norbert Tóth from Hungary, rural developer and agricultural engineer. The objective of my second week was the planning of the projects. We had meetings with local authorities, primary and high school staff and directors, our partners (the experts) and the active locals who are open about supporting our actions and being the main communicator with the other locals. During my visit to the port city of Patras to meet one of our partners, I had the opportunity to visit a coworking space in the city, the POS (Patras Office Space). There, I discussed with the founder the challenges and the lessons learnt from his experiences, and we talked about potential future collaborations between our two spaces in Morocco and Greece. In Lampeia (Divri), I am planning three workshops and three projects. The first workshop is an introduction to social entrepreneurship for high school students; the second one is for recycling garbage to create a gathering space by and for the youth of the village; and the third is a safety and health in workplace workshop for farmers in collaboration with the local medical doctor. 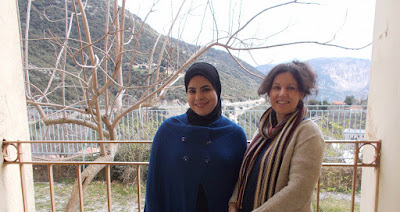 For the projects, I am working on the women’s empowerment project meetings; Women’s health project in collaboration with Dr. Christopoulou, the Representative of the NGO W4life; and a project to increase youth engagement in village development activities. My plan is to use developed skills and network to set up and conduct the workshops and projects in the best conditions, but the most important objective is to empower all parties to make this project a long-term action, which can still be ongoing after completing my 2-months exchange. I want to end my testimonial with a piece of advice for the New Entrepreneurs that are planning to go on exchange: to succeed in your exchange, you need to choose the host enterprise that can add a value to your ideas and project and define together your expectations and needs. Αναρτήθηκε από Dioni LDC στις 3/11/2017 11:27:00 π.μ.